Clinicians have recognized the need for all nutrient factors being available in optimum quantities in the body for maintenance of health. The role AMINO ACIDS, for long neglected, is today gaining recognition as an important adjunct in the clinician’s hand for the return of health to his patients. AMINO ACIDS are a vital part of nutrition and are associated with numerous functions in the human body. Any deficiency of AMINO ACIDS would adversely affect the smooth functioning of the human body. It is therefore important to have a clear understanding of AMINO ACIDS in order to recognize their importance as nutrients. AMINO ACIDS are the building blocks of proteins. Every one know that proteins are important. However, one important aspect often overlooked is that – “THE ROLE OF PROTEIN IN FOOD IS NOT TO PROVIDE BODY PROTEINS DIRECTLY, BUT TO SUPPLY THE AMINO ACIDS, FROM WHICH THE BODY CAN MAKE ITS OWN PROTEINS”. These 10 AMINO ACIDS cannot be made by the body at all or fast enough to meet the body needs. It is essential that they be supplied from outside. AMINO ACIDS are ………………………” without doubt the most important of all the known substances in living matter and, without it, life would be impossible on our planet”. (Gerald Johannes Mulder, Dutch Chemist). AMINO ACIDS are required for a great many important functions of the human body. The main elements of immuno competence of the body are Anti-bodies, Immunoglobuins & White Blood Corpuscles. Anti bodies are giant protein molecules and act as a defense against viruses, bacteria and other foreign proteins. 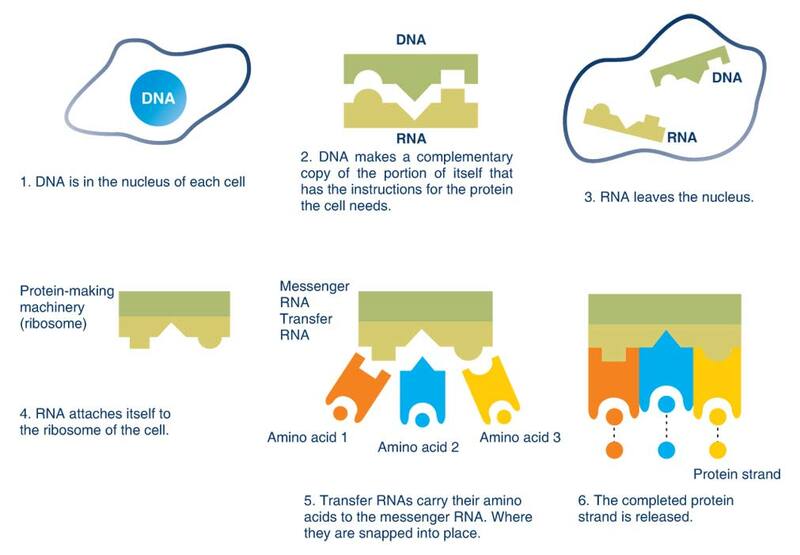 WBCs being cells require AMINO ACIDS for their formation. Prolonged deficiency may lead to a phagocytic dysfunction. Each cell in the body has a certain life span.Eg. the intestinal lining cells live only for one and a half days or RBCs for 120 days. This means that cells have to be constantly replaced, which requires the presence of AMINO ACIDS. In the case of trauma wherein cells are damaged, repair of the tissues would also depend on the availability of AMINO ACIDS. The various types of enzymes present in the body are all proteins which are made up of AMINO ACIDS. The fact that enzymes are so fundamental to all life process highlights once again the important role that AMINO ACIDS play in the body. Most hormones being pure proteins require AMINO ACIDS for their formation. AMINO ACIDS are needed for the growth of all body tissues. As each type of tissue is made up of different proteins, the presence of all ESSENTIAL AMINO ACIDS is vital. During growth the body must synthesize more cells than that are lost (e.g.pregnancy,childhood) Thus AMINO ACIDS play a vital role in growth. 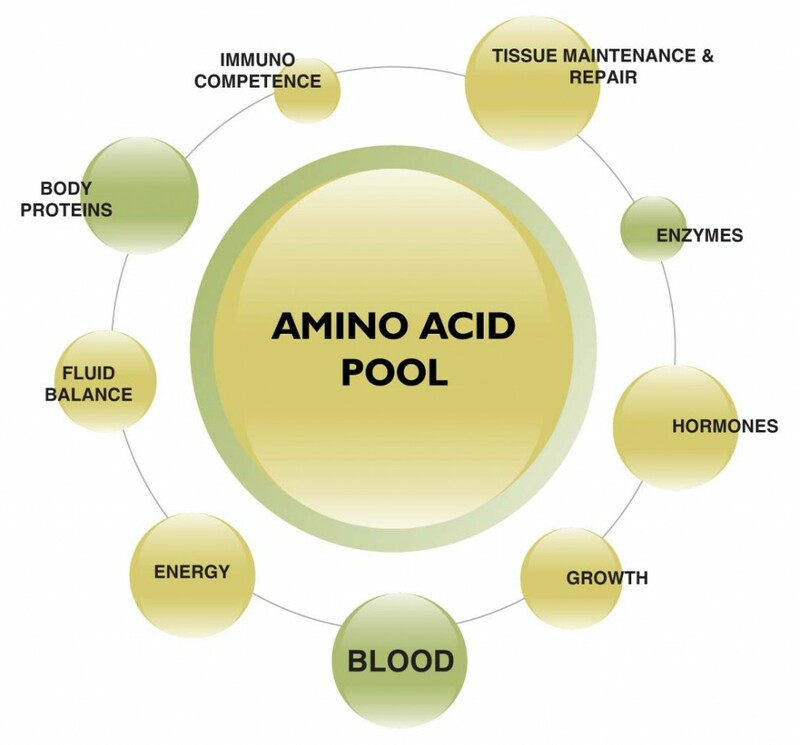 AMINO ACIDS are essential for formation of various body proteins like Albumin, Gloulin, etc. The exact sequence in the formation of a body protein is explained diagrammatically. It takes many words to describe the formation of a body protein, but in the cell 40 to 100 amino acid molecules can be added to a growing protein strand in just one second. Thus it becomes more clear that unless the essential AMINO ACIDS are present, no protein can be formed. When there is an inadequate supply of energy from carbohydrates or fats, AMINO ACIDS from the AMINO ACID pool and subsequently the tissue proteins, are utilized for energy production. 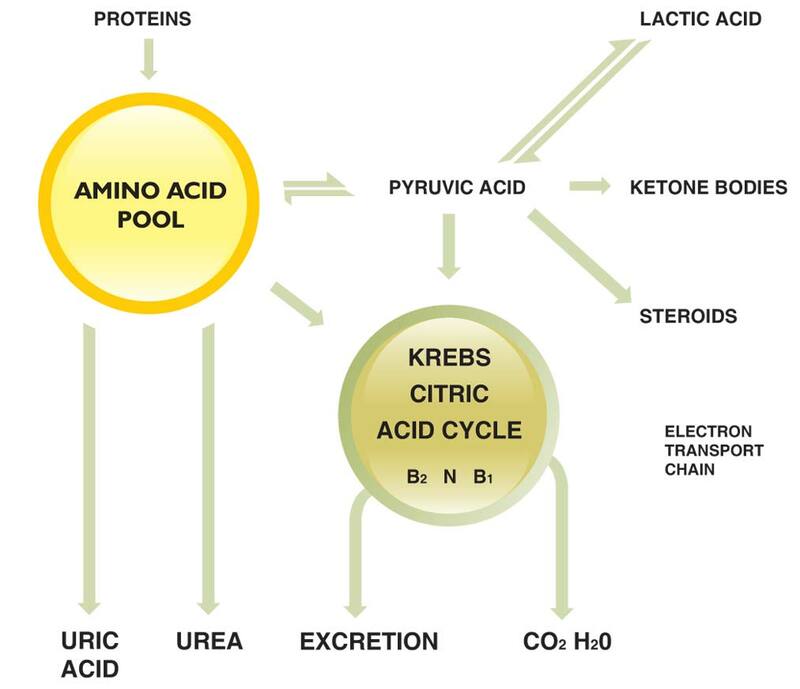 This energy is produced by the stripping off the nitrogen containing amino groups from the AMINO ACIDS and utilizing the carbon skeleton in the Krebs Citric Acid cycle for the production of energy.